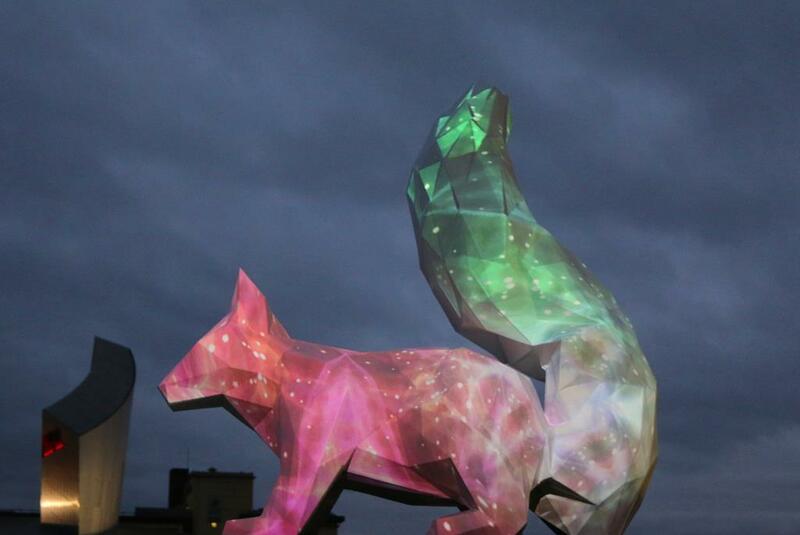 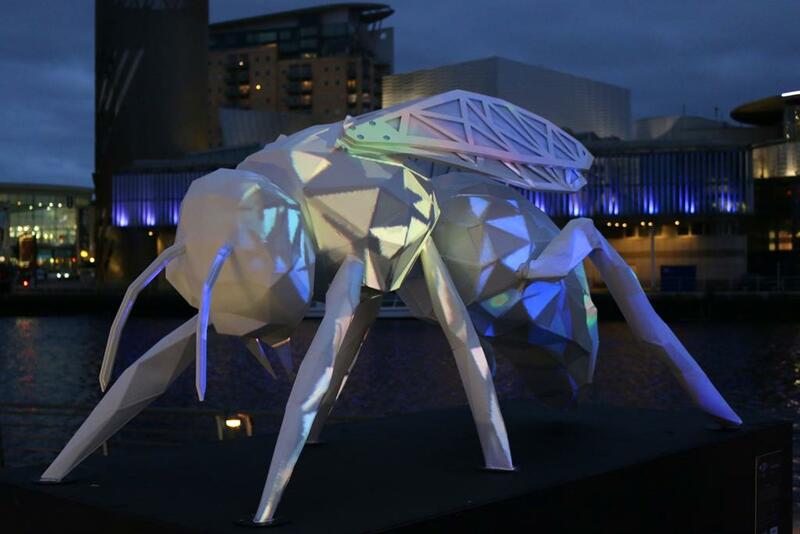 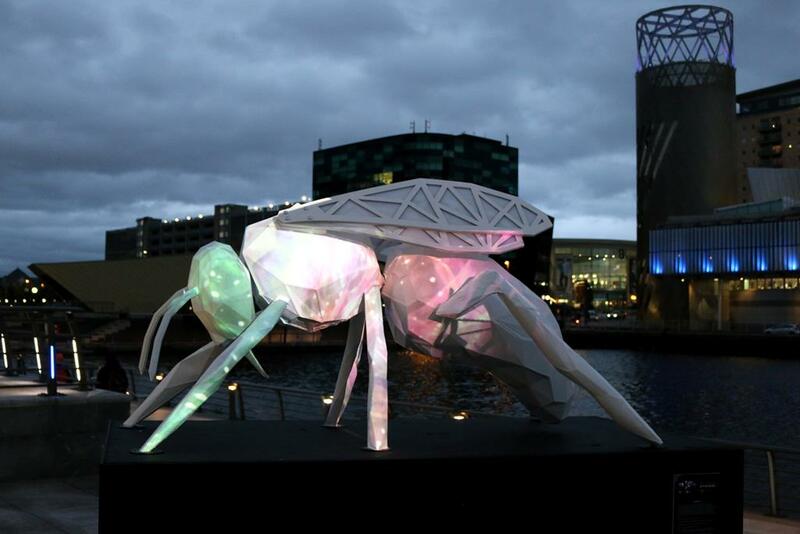 Taking place between the 20th to 29th of May, Unnatural Borders was the latest in the Quays Culture series of light art around Salford Quays. 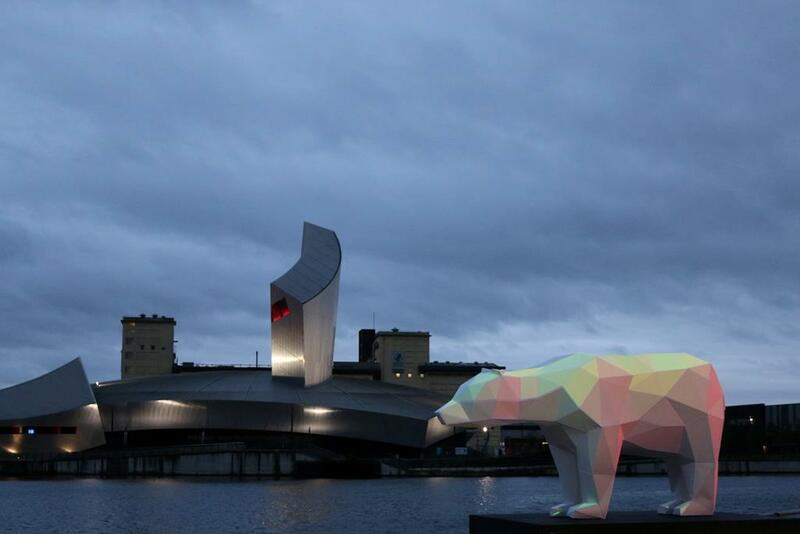 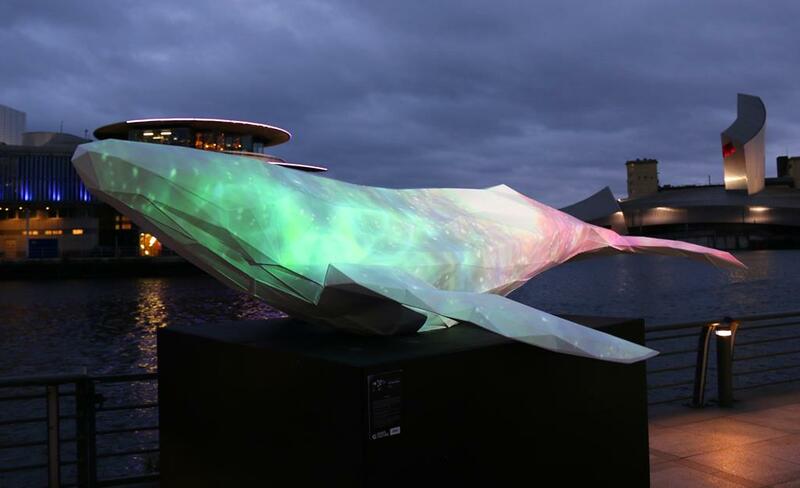 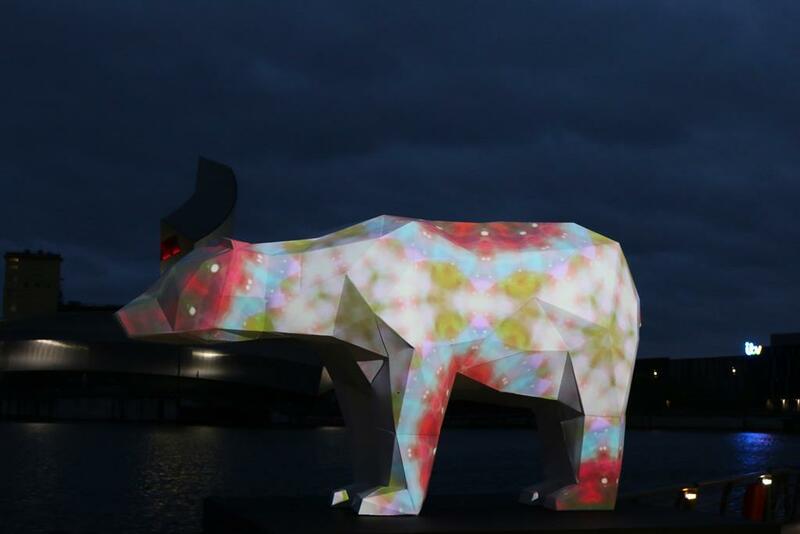 Created by Sober Industries (Nl), four large white sculptures of endangered species – Red Squirrel, Polar Bear, Blue Whale and Bumblebee – were placed on plinths along the North Bay waterside outside Media City. 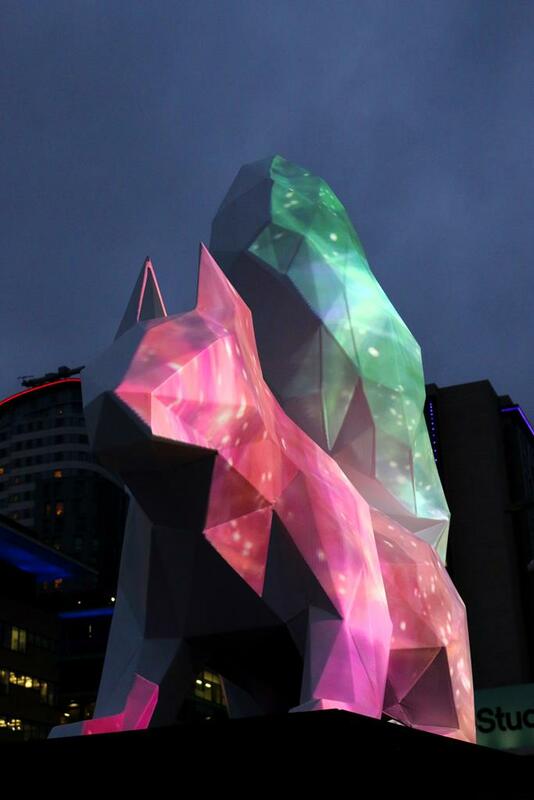 For two hours at night after dark they became the canvas for an ever-changing visual feast, featuring all manner of video and colourful imagery which was beautiful to behold. 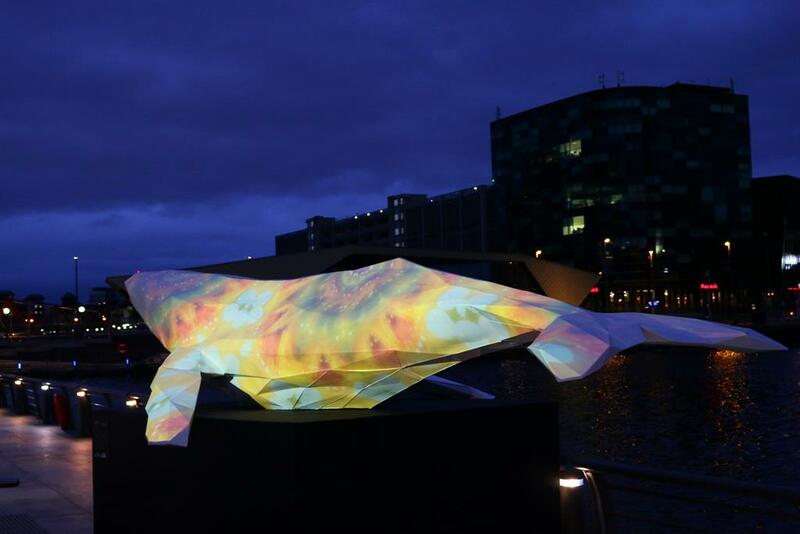 More of my photographs of the installation can be found here.